Job’s shame (previous post: “How God Shamed Job”) prepared him to learn a central point – God is the sole arbiter of honor, capable of honoring Himself and others as He chooses. This divine prerogative to honor (and shame) as He pleases is what makes God…God. He is able to adorn himself in majesty and dignity; clothe himself with glory and splendor. He can bring the proud low; hide them all in the dust together (40:10-14). As the Creator, he alone possesses the ability to honor and shame. God wants to teach Job and friends about his sole sovereignty over all social standings. Finally, Job understands his previous honor was a gracious gift from God, not a result of his own righteousness and benevolence. He has no right to accuse God for his “unjust” shame (as in ch. 31), because it was always his sovereign grace. Once Job rightly sees God as the “The Great Honor”, he debases himself into the dust and dirt below his feet (42:5-6) – a gesture of self-diminution. And here lies the great Kingdom paradox: honor comes through humility. Only as Job recognized his humility before God was his honor then restored. When God restores the fortunes of Job, the relational/social dimensions of Job’s restoration are mentioned first. “Then came to him all his brothers and sisters and all who had known him before, and ate bread with him in his house. And they showed him sympathy and comforted him for all the disaster (disgrace) that the Lord and brought upon him. And each of them gave him a piece of money and a ring of gold” (42:11). Job’s family re-accepted and welcomed him! By sharing a meal, the community conferred honor upon Job and overlooked prior shame. Eating together indicates acceptance and worth (cf. Lk 15:2, Gal 2:12). Their gifts indicate respect forJob’s worth and dignity. 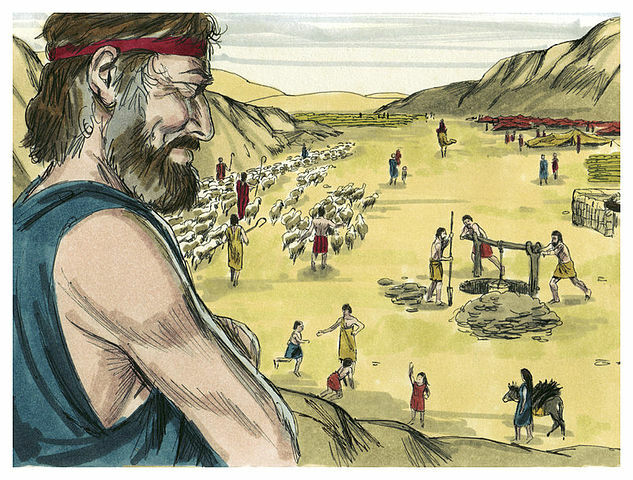 God restored Job’s social place (along with his children and livestock). We can assume God healed Job’s ‘defiling’ sores as well (though the text doesn’t mention it, the events imply it). 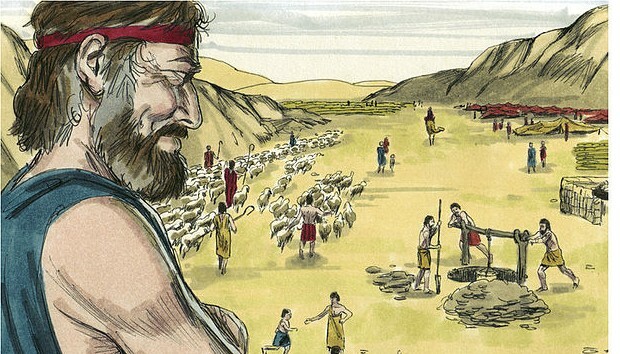 With twice as much livestock as before, Job can bless and help an even greater amount of people. He can even provide a generous inheritance to all 10 of his children, including the 3 daughters! Once destined to die alone, Job is able to share life with 4 generations of descendants – an honorable indication of the large family he progenated. In all these ways, God restored Job’s honor and prestige…not because of Job’s righteousness, but because of His sovereign power. How does this impact your ‘theology’? What is your spiritual take-away from these realities? In today’s culture honor comes before humility. People strive for honor. Get a glimmer of honor. Then they fall into dishonor and shame. Honor comes before humility. Conversely, God’s way is humility comes before honor. Humble yourselves under the mighty hand of God and He will exalt you. So, counterculture. Yet, wise. I just found this article on the topic–Andrew Mbuvi, “The Ancient Mediterranean Values of “Honour and Shame” as a Hermeneutical Lens of Reading the Book of Job” OTE 23/3 (2010), 752-768. And when God shows his own humility then he will deserve his Honor. Until then I suppose people should believe scientists in spite of the fact that they are often pretentious. 1 Pings/Trackbacks for "Why God Shamed Job"